"Ideal for implementation of applications much faster and without inactivity"
CodeDeploy is a great tool of AWS, it is to my liking because it has a very simple configuration, it works automatically so that manual work is left aside, allowing implementations to be carried out much faster and without downtime, In addition, the user chose their preferred development environment to carry out such tests, be it Amazon EC2, Lambda, among others; and the best thing is that it works with any application and can be easily integrated with other tools or environments such as AWS CodePipeline. Its interface is somewhat difficult to understand but navigating a bit in it is achieved a good management of it is just a matter of adapting, so that rather than something negative would say it is a matter of practice. CodeDeploy I recommend it with pleasure because it is really very useful to carry out the arduous task of the implementations of large business applications because it works very fast and if it is implemented with other tools, better results are achieved and all for an excellent price. Thanks to this powerful tool of AWS we have managed to work much more efficiently when it comes to carry out implementations or the annex of new functions in our applications and this is because it works automatically which greatly speeds up this task unlike when we work manually, that is why we are very pleased with it because it is very efficient and reliable and its costs are very fair because we only pay for what we use. "Great tool for the automation of software implementations or business applications." I like this great tool the fact that it can be easily integrated with other tools of constant delivery such as CodePipeline, GitHub, Jenkins, it is very easy to manage and configure, also allows an easy administration of software implementations no matter in what instances they want to execute and the best thing is that we can evaluate the status of each one of these, whether in AWS or CLI, it all depends on what the user decides and if it is about its costs, it is only necessary to pay for the resources that are used with CodeDeploy, that is to say, one pays for what is consumed neither more nor less. AWS CodeDeploy is a tool with which we have not had any inconvenient so I have nothing negative to say about it, it works very well and is really very useful to streamline the implementations of the many business applications that are developed in small, medium or big enterprises. Using AWS CodeDeploy has allowed us to carry out a much simpler administration of the hundreds of implementations that we must configure per day because thanks to this powerful tool it is no longer necessary to carry out this arduous task manually, so we can have more satisfied clients since they have their codes at hand much faster than they expected, we also benefit from it because by integrating it with other AWS services such as CodeCommit we obtain a quick creation or administration of the environments of our business applications. "AWS CodeDeploy ! ! " i have been working with AWS code deploy for 1-2 years , the most amazing thing about AWs Code Deploy is that it is very easy to integrate AWS Code Deploy with other services , it is very convenient to configure applications , it also has a feture of rolling updates which saves our deployed application from entering into the inconsistence state which is very hard to recover back , we can also able to directly connect it with github very easily and rapidly , in case if your server faces any down time situation the AWS Code Deploy can able to minimize thre total downtime approx by half which is very impressive and practical mechanism used by AWS Code Deploy ! ! the user interface is not so attractive and easy to use , and pricing cost are little bit higher comparatively ! ! AWS Code Deploy is one of the widely used and easy to integrate setup , which is not so price effective but still it benifits you in so many situation ! we use AWS Code Deploy to configure DEV and PROD ! ! "Powerful tool of automated deployments!" 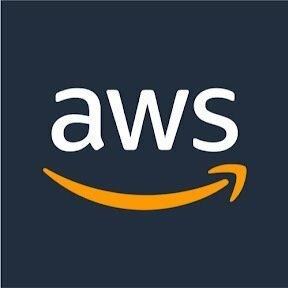 The best thing about AWS CodeDeploy is that it is a powerful tool that automates code implementations and performs large deployments in any instance, which allows me to avoid having my applications downtime during its implementation, it is also very easy to use and its costs are very low since we only pay for what we use. It has limitations such as that it can only be implemented in EC2 instances but I think it will take a short time for it to open its doors to other instances. When configuring this tool, one must be careful to avoid errors since a good configuration makes a good development of them. This tool is very useful for my work because it allows me to make implementations and deployments of my applications more manageable which saves me a lot of time and also the fact that implements automation makes it easily administrable. "Easy to setup , manage and use continous deployment"
It is very simple to use and is free for experimentation for those who want to get hang of deployment pipelines without investing too much money. I used codeDeploy with bitbucket and the bitbucket codeDeploy plugin was very easy to setup. The deployment configuration and groups are nice features. You can control all the steps that happen when the deployment is happening. You can provision important updates, configure your VM's before installed an updated patch of your software. There are a lot of steps involved in the setup and sometimes its difficult to keep track of all the details, if you are following the aws documentation (which, by the way, are very extensive and detailed). You can get this setup and running free of cost, following the AWS documentaiton as well. Just make sure to remove the auto-scaling group and add an ec2 instance in your deployment group manually. Happy Deploying! Continuous deployment and delivery. Version upgrades. Setup once and deliver continuously. It is also very easy to explain once you have setup this up and can be easily propagated within the team. It is so simple to start with that product both using windows and linux endpoints. I use as a last step of our continuous integration solution. It makes so easy to give feedback through the CLI. I am missing an option for partial deployments. There are different behaviours for shipping code to instances, but one scenario our team handles is the option of working with different versions of code simultaneously. To be able to test that scenario we tweak ec2 tags to deploy to some of the machines. However is a workaround tweaking codeDeploy behaviour. I think codeDeploy does well what is meant for, however it is no more than a deployment solution. Trying to use for any other purpose could be a bad idea. If you require orchestration, you better use an orchestration solution, which are not incompatible. CodeDeploy doesn't have a very friendly procedure to push deployments, so you better automate that process, unless you will spend a lot of time defining deployment groups and releases unnecessarily in the UI. We use different kind of deployments according to the applications change log. If those releases don't have a major impact we use codedeploy. We run green/blue deployments otherwise. For integration and staging, we always use code Deploy from the continuous integration service. "Good solution to streamline your deploys"
I especially like the fact that CodeDeploy can be integrated with GitHub, so new code can be instantly and automatically deployed to our servers. appspec.yml (CodeDeploy's config file) also allows to hook your own scripts, making for a very flexible solution. The integration with ELB/autoscaling could be somewhat better; failed deploys can sometimes lead to a loop where EC2 instances keep on being started/stopped, and there's no way to avoid it saved for manual intervention. On top of that, I'd love to be able to do automatical rollbacks. I'd use CodeDeploy again if I had to deploy apps to a load balancing, distributed environment. CodeDeploy allows us to deploy distributed apps to our autoscaling/load balancing system on EC2 without having to write custom scripts and having to allow devs to directly access the instances. "Automate the process of deploying and updating applications on Amazon EC2." 1- automatically deploy to new EC2 instances that are spun up by Autoscaling. 3- launch and track the status of your deployments through the AWS CodeDeploy console or the AWS CLI. 4- platform-agnostic and works with any application. You can easily reuse your setup code. AWS CodeDeploy can also integrate with your software release process or continuous delivery toolchain. 1- AWS CodeDeploy only supports deployments on EC2 instances at this time. 2- AWS CodeDeploy requires an agent to be installed on any EC2 instance that it will be deploying code to. automate code deployment and eliminate manual operations. "A strong tool when you have an army of machines to manage"
This really is a tool for ops automation at the larger scales. Every resource is versioned and labels / notification of changes can be attached to AWS natively, or externally via hooks. There are some finer-grained controls for rolling deploys, and being able to programmatically enable deployment groups — this was a big deal for us, in planning to roll-out in high use environments. It was a lynchpin to doing staged CD via CodePipeline. Remember that this really works in conjunction with other tools, and less standalone. I have used this tool in several cases. One is to deploy a platform (several, multi-application suites, with interdependencies) that has 5 environments for each app. Deployment was a bookworm nightmare prior to a deployment management system. The other main case is where we operated a system that was high-load, and he resource version at each stage of routing was very important in debugging cache dynamics. It makes all the deployment and continuous integration part quite easy to manage. Once the pull request to the GIT repository is made and merged, it automatically deploys the code to multiple server and performs different actions. Another good part is that you integrate with GIThub. Amazon services are not for free is the only drawback I could think of. If money is not the concern that i'd highly recommend it to people who have a lot of after deployment process to take care of. This tool makes it more manageable. You can launch and track the status of your deployments through the AWS CodeDeploy console or the AWS CLI. It gives report on every revision and the date when it was deployed. Very handy to keep track of all the updates in your application. You can even stop the deployments if you find any mistake on the go. It was a bit confusing and hard to start with. Had to read a lot about how to use it. A setup guide from the amazon would be nice. It is straightforward by itself, but also composes nicely with many other systems. It can be used to package up binaries, static assets, or scripts and then deploying them to a cluster of EC2 instances. I have even used it as the deploy mechanism for an internal PaaS to deploy scripts that then manage and run docker containers. It has relatively few options for timing deploying code through a cluster. The default is to deploy to each instance in serial. You can tell it to deploy all at once or some groups, but the options are limited. And there is no way to say "only deploy to X% of my instances" for testing a deployment. Automate deploying code to instances to support continuous integration and continuous deployment goals. "CodeDeploy saves time and therefore $$$"
Lack of good documentation for troubleshooting issues. Faster, more automated deployments. More agile development. Code deployment is one hectic job, sometimes even after the project is ready it takes few days to go live because of deployment issues. This problem is quite nicely tackled by this tool. Code deployments and automations are made quite easy. AWS has a lot of other services to provide but I find this particular one a little more expensive than what it should have been. Apart from this one might take some time to get used to it as flow isn't very intuitive to somebody who's new at code deployments. Overall it's a good tool for saving a lot of time and opportunity cost when code deployment is considered. Automation is something which can be easily managed using this tool. It auto adapts different user needs. Easy to use and fast. The price is not good for personal user. If you haven't use this yet, definitely give it a try. Hosting my website and project. The integration to ec2 instances so you can deploy directly into the instance without doing any hard work. The integration with github it's a little bit complicated for such an easy tool. Considere the price and the fact that's already inside AWS and not a 3rd party solution, being centralized is better. We are testing new ways to integrate this as a CI/CD system. Best part is the integration of github with this tool and making the whole process automated from making a pull request to deployment and running scripts instead of manually creating webhooks from github and writing scripts. Amazon web services come at a price, they aren't for free. On the contrary setting up webhooks on github is free of cost. Daily code deployment and running different scripts for different kind of code is one hectic job. One dedicated person is supposed to be assigned for the job but not in the case when you can automate the whole process. Codedeploy facilitates that in a very good fashion. "Easy to use managed code deployment solution"
"Easy to set up and an amazing way to utilize blue/green deployments"
Viewing the status of multiple simultaneous deployments can be difficult. It's the best way to run blue/green deployments in your environment while using application load balancer configured with auto scaling groups. Simplified autoscaling with our application laod balancer. Super fast deployments to QA and Production by building in Jenkins and letting CodeDeploy run blue/green deployments. configuration can sometimes be misleading. "Nice tool for code deploying." Best thing about the tool is automation. Every time code is pushed to the repository you can perform actions on it. You don't have to go on each server and deploy the code or run scripts manually. Pretty much everything is handled by CodeDeploy. Though Amazon services are relatively cheap i'd still prefer this service to be free of cost. Because this is something which can be done by writing scripts. Only the managing part is well handled. If you're a small company and wanna cut a lot of time on code deployment then this is a must have SAS application. "Auto Deploy Your Amazon Code"
Doesn't deploy out code that doesn't compile to the cloud. Only can be used with Amazon products and usually only deployed for Amazon Web Services. it takes a long time to remove from one stage to another stage. Automatically deploying code into AWS; like Lambda functions and server less applications. "AWS is quick to get started"
I like how easy it is get to up and running quickly. I find the site navigation can be confusing at first. Search YouTube for tutorials if you get stuck. I am building a webapp that needs hosting. "Great for AWS, good for on-prem"
Ease of setup. It integrated easily with Terrarform. Aws codeDeploy is easy and quick way to deploy my project. If you are hosting your app on aws then i recommend aws codedeploy as it onestop place all infrastructure needs. building API services for our clients using AWS infrastructure. "Excellent tool for automated deployments"
Would like to de able to reuse deployment groups. This has por integration with other services and some external services. Please improve integrations eevetyhing else lloks good. This has poor integration and need to improve integrations with other services. Integrated well within AWS ecosystem which helps in managing better. * We monitor all AWS CodeDeploy reviews to prevent fraudulent reviews and keep review quality high. We do not post reviews by company employees or direct competitors. Validated reviews require the user to submit a screenshot of the product containing their user ID, in order to verify a user is an actual user of the product. Hi there! Are you looking to implement a solution like AWS CodeDeploy?